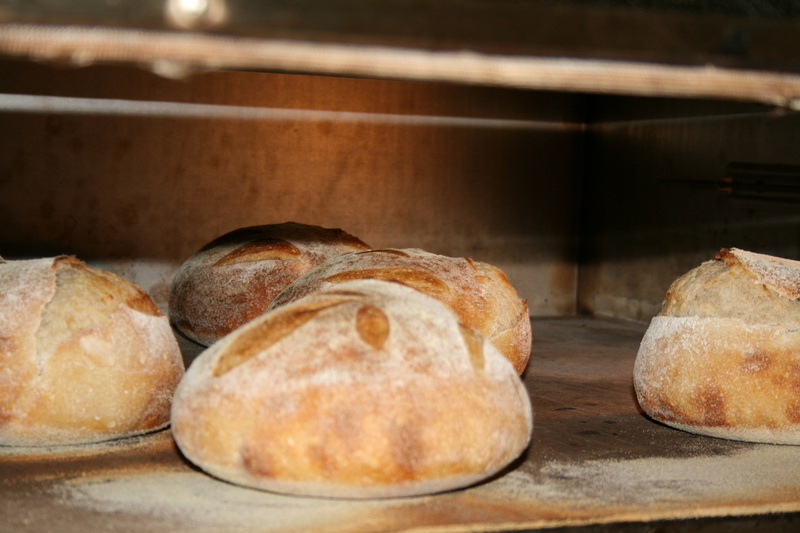 Our delicious and healthy, naturally leavened sourdough bread is made entirely by hand in the French process of triple fermentation. 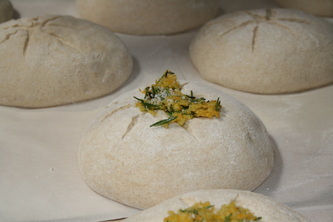 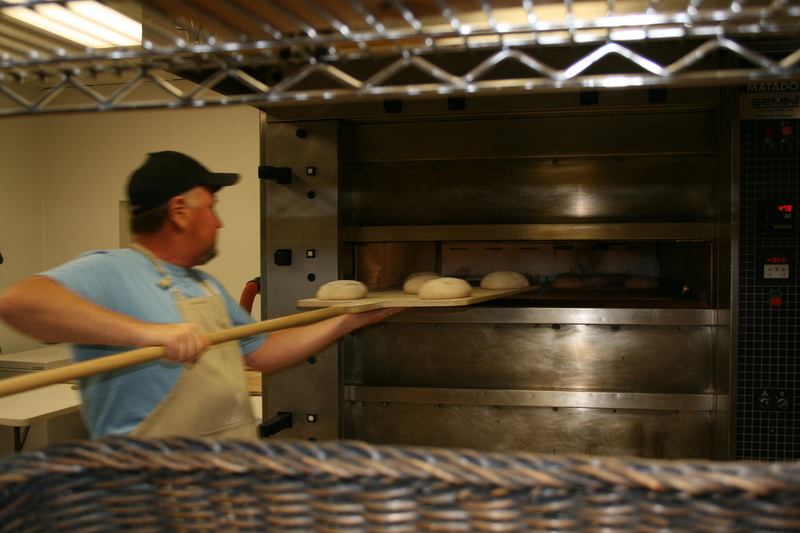 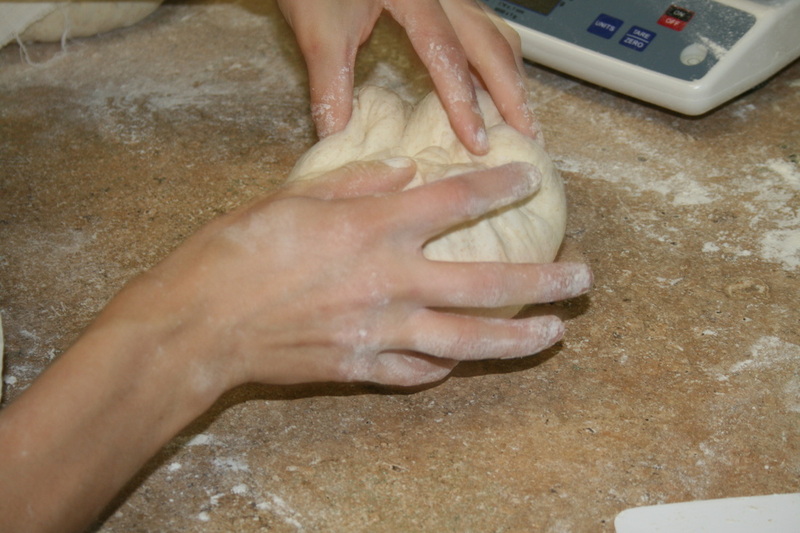 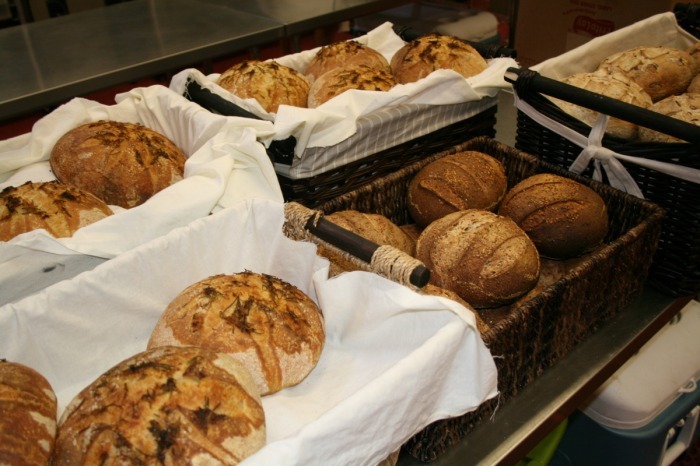 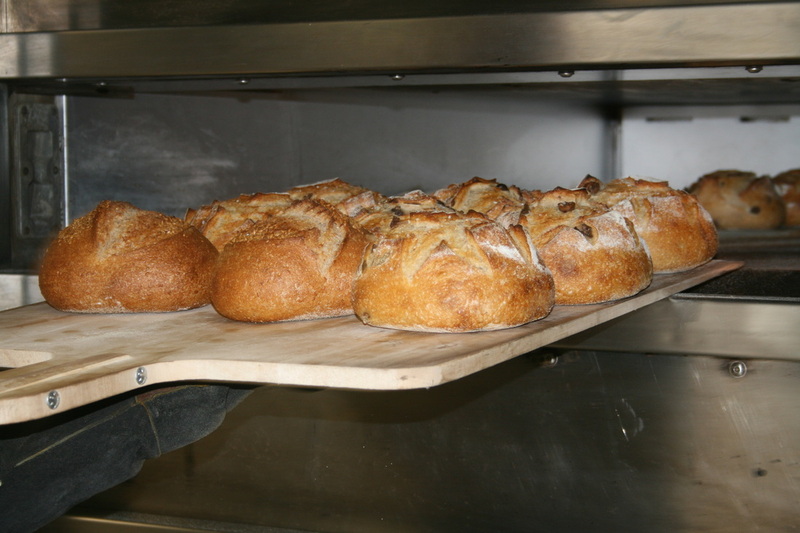 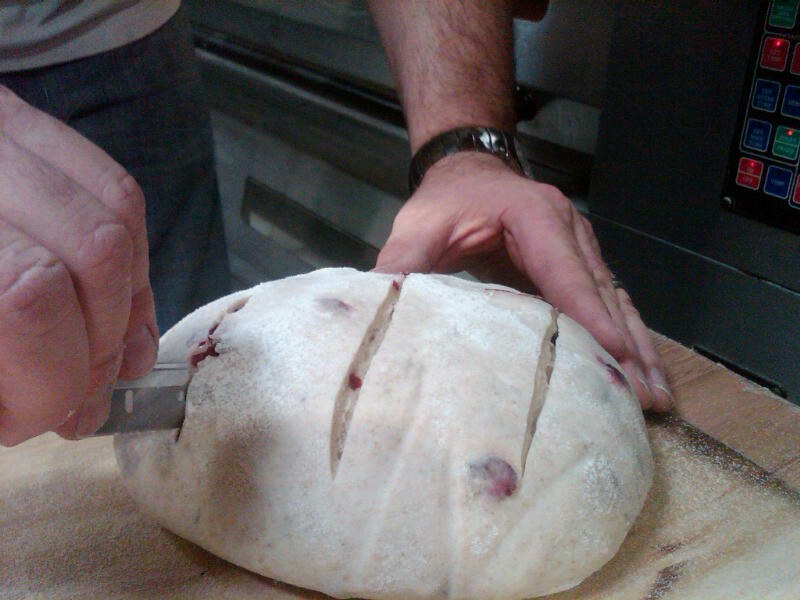 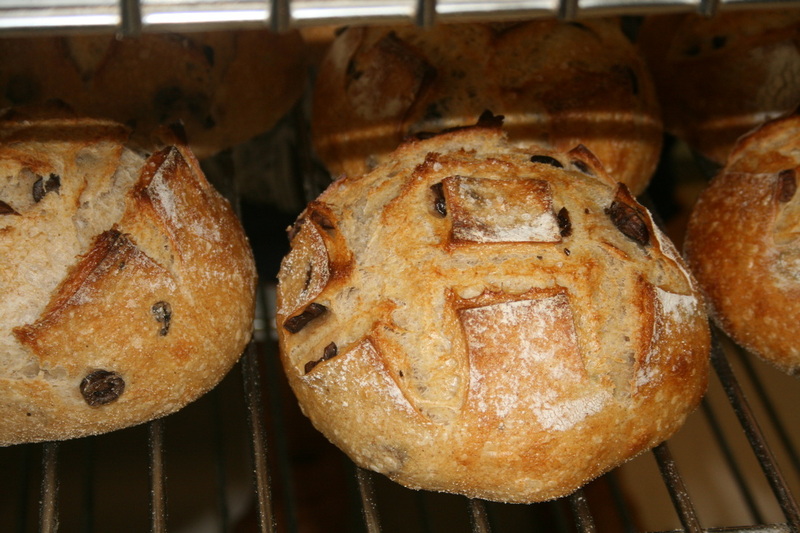 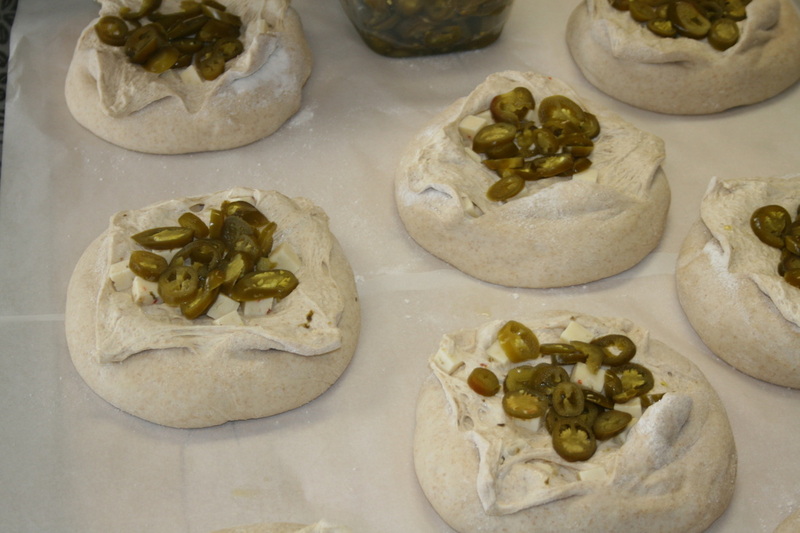 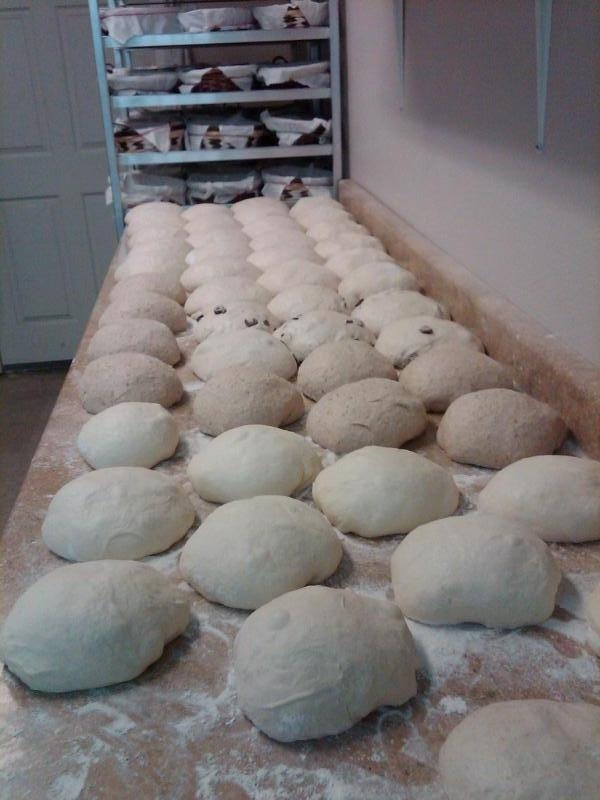 Our breads begin 48 hours before they are baked with the feeding of fresh flour and spring water to the natural starter kept back from the previous bake. 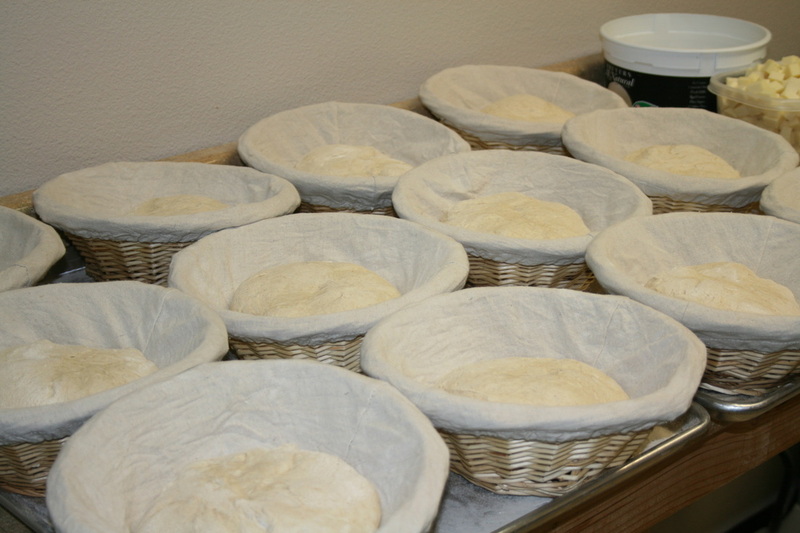 After 12 hours of the 'first' fermentation, the now ripe or active starter is added to flour, water, and sea salt and mixed to a dough, and allowed to ferment for 4 hours for the 'second' or bulk fermentation. 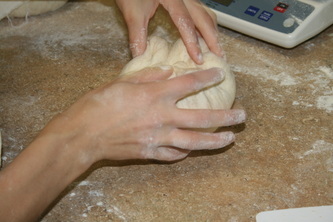 This is the stage when most of the flavor and texture develops. 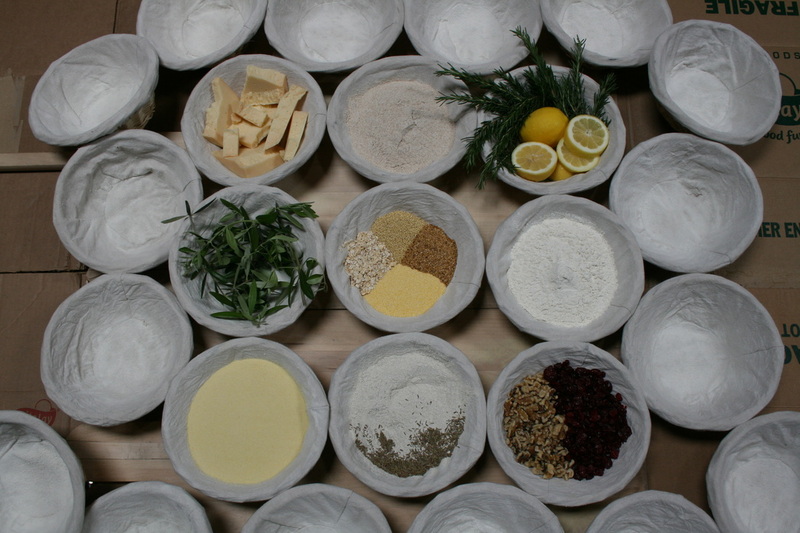 The dough is then divided, rested, shaped, and placed into linen lined baskets (called bannetons) for the 'third' fermentation, or proofing stage. 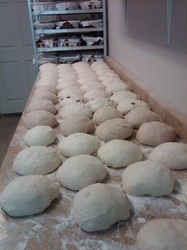 After 2-3 hours, they are placed into the cooler overnight to slowly develop a complex blend of flavor. 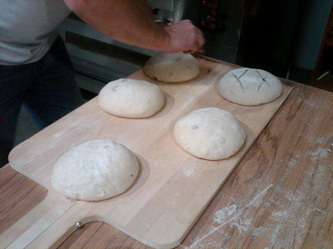 In the morning, the loaves are then baked on a hearth stone oven at high heat with steam injection at the beginning of the bake. 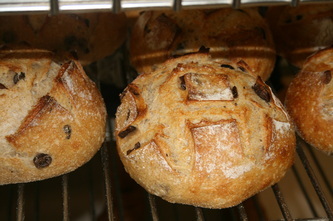 The unique wheat flavor and subtle, mild sourness is only achieved after a long and slow process. 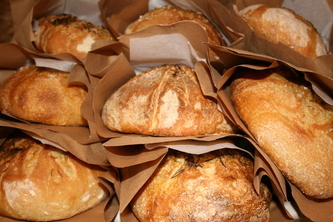 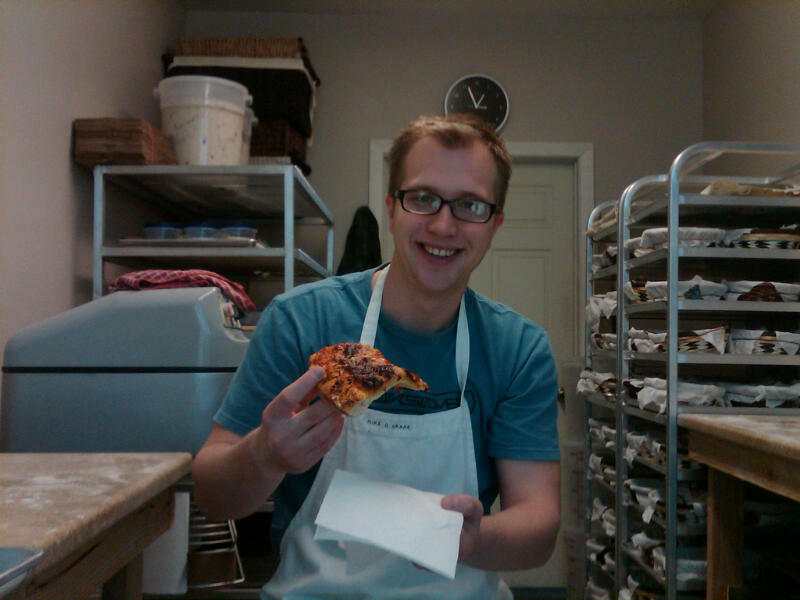 Good Bread is definitely not fast food!